Last week Andrew Korybko gave an extensive interview to the leading Iranian news agency Mashregh (part I, part II). He talked about the Eurasian dimension of his Hybrid Warfare theory, Syria crisis, Obama’s latent agenda to overthrow Iranian regime and Trump’s ambitions to carry out “Green Revolution 2.0”. ORIENTAL REVIEW publishes its full original text in English, by the author’s courtesy. Please briefly explain the concept of Hybrid War and its most important components. Hybrid War can be described as manufactured or provoked identity conflict with the aim of disrupting, controlling, or influencing multipolar transnational connective infrastructure projects through the methods of Regime Tweaking, Regime Change, and/or Regime Reboot in geostrategic transit states. This can be referred to as the Law of Hybrid War. The organizers exploit religious, ethnic, historical, socio-economic, and administrative & physical geographic differences in order to achieve political concessions (Regime Tweaking), leadership change (Regime Change), and/or constitutional reformation (Regime Reboot, usually from a unitary state to an internally partitioned “federal” one) against the targeted country in order to undermine China’s New Silk Roads and other Great Powers’ connective projects. Infowars, social and structural preconditioning, and physical provocations are the tangible iterations of this stratagem, and their tactical escalation is usually marked by the transition from a failed Color Revolution to an Unconventional War in the event that the anticipated political objectives aren’t readily attained. In practice, the War of Terror on Syria is a perfect example of a Hybrid War, whereby the US and its ‘Lead From Behind’ regional allies violently provoked regime change in order to punish President Assad for turning down the Qatari gas pipeline and to prevent the construction of its Friendship Pipeline replacement between Iran, Iraq, and Syria. The spree of urban terrorism popularly known as “EuroMaidan” is another such example of Hybrid War, as the US stoked identity conflict between the hyper-nationalist Ukrainians in the western half of the country and the multicultural Russian-affiliated ones in the eastern part as a means of subverting Russia’s Eurasian Union integration project with Ukraine. Other less-discussed examples of Hybrid War are the back-to-back destabilizations which took place in the Republic of Macedonia from 2015-2016 in order to undermine Russia and China’s planned Balkan megaprojects through the country, as well as last year’s riots which broke out in Ethiopia and were intended to diminish the attractiveness of one of China’s chief economic partners in Africa and the recently completed Addis Ababa-Djibouti railway (the Horn of Africa Silk Road). Truth be told, however, many Eastern Hemispheric countries are vulnerable to Hybrid War, as the adaptive and patterned approach applied in the previous examples for fomenting identity conflict is relevant to most of them and could conceivably be deployed against them in the event that they align with a multipolar transnational connective infrastructure project which threatens the US’ unipolar hegemony in their given region. You’ve written that the United States is practically the only country (able to wage and) waging Hybrid Wars. Why has the US taken this new approach? Hybrid Wars are indirect and therefore require less resources from the patron state than conventional conflicts, while simultaneously having a higher chance of achieving the envisioned political goals due to their unpredictable asymmetry which confuses the target’s military-security defenses. The US has a monopoly on Hybrid Wars because of its global strategic reach, preexisting and refined ‘toolkit’ (infowar capabilities, on-the-ground agents/”NGOs”, economic subversion through the petrodollar and sanctions, etc. ), and global interests predicated on indefinitely sustaining its unipolar hegemony everywhere across the world. The US started to depend more on Hybrid War after the expensive debacle that it experienced during the 2003 War on Iraq and subsequent occupation, which taught it the unforgettable lesson about why it’s important to ‘outsource’ conflicts to like-minded regional allies instead. In other words, the US decided to turn away from large-scale conventional warfare and embrace proxy wars, counting on its “Lead From Behind” regional partners to publicly ‘do the heavy lifting’ while the US discretely organized everything (logistics, training, arms, strategy, etc.) behind the scenes. The unique twist, however, is that instead of provoking a state-on-state conflict between the US’ ally and the targeted government, the incipient war takes place solely inside the victimized state’s borders and builds off of the manipulated perception that it’s “collapsing” or “imploding” because “rebels” and “freedom fighters” are “rising up” against “the regime”. In short, Hybrid Wars are cost-effective, require less conventional commitment than ‘ordinary’ conflicts, and have the potential to rapidly reap astronomical rewards for the perpetrators. Their very essence is that they’re asymmetrical “internal/civil” wars which the targeted military-security services are usually unprepared for handling and would otherwise wish to avoid, as most governments would prefer to never be faced with the prospect of potentially ordering lethal force against their own citizens. Nevertheless, such an eventuality might ultimately prove inevitable if individuals are engaged in anti-state and terrorist activities, but foreign forces will assuredly try to turn any law enforcement operation into the trigger for sparking a self-sustaining cycle of violence fueled from abroad by information-narrative manipulation and covert aid to the “rebels”. Which countries constitute, as you put it, the “core” targets of US Hybrid Wars? What is the ultimate purpose in this new type of war? Regime change? Returning to the Law of Hybrid War, the focus is on stoking identity conflict in order to prevent Eurasian integration, which nowadays is principally the Chinese-financed New Silk Roads that are being constructed all across the world, but are certainly not limited to those exclusively, Other multipolar Great Powers are trying to secure, stabilize, and develop their regional neighborhoods, and this in turn makes them and their partners targets for the US’ Hybrid Wars. The two most prominent examples of this are the commencement of the 2011 War of Terror on Syria which was indirectly waged against Iran’s Friendship Pipeline, and the 2013 “EuroMaidan” outbreak of urban terrorism which aimed to sabotage Russia’s Eurasian Union integration efforts with Ukraine. Pertaining to Iran, the Islamic Republic is actually doubly susceptible to Hybrid War for both of the aforementioned reasons. It’s already been demonstrated to deadly effect how the US will deploy Hybrid War against Iran’s regional interests in Syria and elsewhere in the Mideast, but the country itself has yet to suffer from a full-fledged Hybrid War within its own borders aimed at interfering with China’s grand supercontinental ambitions of pan-Eurasian connectivity. 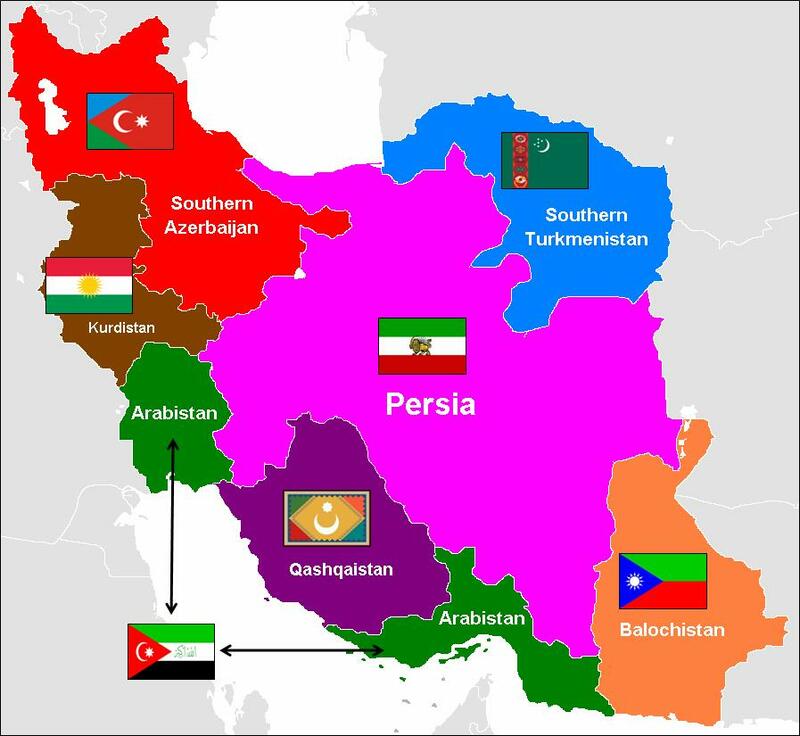 Iran is the geostrategic gatekeeper linking West Asia (the Mideast) with Central, South, and even East Asia, so it obviously stands to fulfill an irreplaceable role in future Eurasian integration projects. China and Iran are already connected to one another via a circuitous rail network transiting along the peripheries of Kazakhstan and Turkmenistan, but plans have already been proposed for streamlining this route through the possible construction of a high-speed railway across the densely populated heartland of Central Asia. If left to its own without any external interference, the discussed China-Iran high-speed railway project could eventually extend through Turkey and further afield to the Balkans and thenceforth the EU, thus making Iran one of only three transit states which absolutely must be involved in China’s trans-Eurasian infrastructure projects. Russia sits atop Northern Eurasia and is therefore the geostrategic gatekeeper in this part of the continent for any crisscrossing EU-China networks, while Iran and Turkey are its South Eurasian counterparts for the same. To proactively prevent the actualization of these forecasted multipolar transnational connective infrastructure projects across the Mideast, the US must either co-opt or destroy the Islamic Republic of Iran, with the former being what the Obama Administration dreamed of doing after the nuclear deal while the latter is its Hybrid War “backup plan” in case the first one fails. Washington’s strategic infiltration plot failed to seduce Tehran, so it appears likely that Iran might be targeted by the US’ retributive Hybrid War intrigues sometime in the near future. In fact, the US has already been working on the necessary preparations and is presently arranging its forces in anticipation of waging this sort of conflict during the upcoming Trump Presidency. For instance, there has already been a notable uptick of insurgent activity around Iran’s periphery (Kurds, Arabs, Baloch, etc.) whether for separatist or “federalist” (internal partition) purposes, while the threat of an internal Daesh attack is more relevant than ever. Similarly, the US has attempted to structurally precondition the Iranian state through its extended sanctions and other sorts of subversive economic activity, which is happening concurrently with the social preconditioning operation being waged through information warfare and the impossibly high hopes that the West has encouraged among the under-30 demographic (the majority of the Iranian population) after the nuclear deal. The US is plotting to influence and mislead the Iran’s young adults and youth in order to provoke a forthcoming “Green Revolution 2.0”, albeit one which this time will be bolstered by asymmetrical terrorist warfare along the country’s internal periphery and have the full “Lead From Behind” indirect support of the US’ Gulf allies. The interplay of each of these aforementioned Hybrid War tools is expected to advance the goals of Regime Tweaking, Regime Change, and ultimately a Regime Reboot in Iran. To explain, the the first one refers to political concessions which the US wants to squeeze from Iran after placing it in a position of weakness, while the second one is the replacement of Iran’s multipolar government with unipolar pawns. Most disturbingly, however, is the third and final goal of a Regime Reboot, which would existentially obliterate the Islamic Republic of Iran by transforming it into the “Secular Federation of Persia” and a checkerboard of quasi-independent identity-centric statelets (i.e. “Kurdistan”, “South Azerbaijan”, “Balochistan”, “Arab Persia”, “Mountainous/Central Persia”, etc.). How can Russia, Iran, and China push back against the US’ Hybrid Wars? How can and should a possible coalition be formed? Can economic measures such as using local currencies to fight the dollar’s dominance be of any help in this case? There are three complementary categories of Hybrid War resistance that states can and should partake in, with these being internal efforts, external operations, and external structures. As for the first one, the promotion of a patriotic education and its regular societal reinforcement are key to countering the corrosive anti-state ideologies promoted by the Hybrid War practitioners and their in-country cohorts (the latter of which could be doing this with treasonous intentions or because they’re brainwashed by the infowar). Relatedly, the state should embrace ‘Reverse-Color Revolution’ technology such as patriotic NGOs and public manifestations of state pride, as these are invaluable assets which can be deployed in confronting unexpected Hybrid War provocations. For instance, the 2002 experience of Venezuelan patriots taking to the streets during the brief pro-American coup against then-President Chavez is a powerfully effective example that all other victimized states should try to emulate during times of externally provoked crisis. More recently, the 2015-2016 patriotic gatherings of the Macedonian people during the US’ two failed Color Revolutions against their government and the Turkish people’s supportive street rallies for President Erdogan during the failed pro-American coup against him can provide a lot of useful lessons for states that are willing to learn from them. What’s exceptionally important is for governments to engage in preventative information campaigns exposing the US’ Hybrid War scenarios against their country, since this can educate the populace and make them more aware of the intrigue that’s being plotted against them. As such, it becomes ever less likely that well-intentioned civilians will be misled by the oncoming infowar onslaught against them and be tricked into taking part in a Color Revolution. It should always be remembered that Color Revolutions rely on crowd control psychology to manipulate and mislead masses of people into anti-state group provocations, and that while there’s undoubtedly a minority of conspirators organizing these events on the ground, many of the participants are usually unaware of the bigger picture and don’t realize that they’re being used as the US’ ‘useful idiots’. The internal tactics described above will vary in practice based on how each civilization-state applies them in accordance to their unique conditions, but they all must follow these broad guidelines in order to be most effective at repelling the US’ asymmetrical warfare. Moving along to the external aspect of counter-Hybrid War strategies, it’s important that there’s “deep state” coordination between multipolar countries’ permanent military, intelligence, and diplomatic bureaucracies. The Shanghai Cooperation Organization (SCO) has a particular mechanism called “RATS”, which stands for the “Regional Anti-Terrorist Structure”. This is a rapid-reaction force which fights against the organization’s shared threats of terrorism, separatism, and extremism. After all, Hybrid War is directly waged by non-state actors indirectly supported by state organizers, so prudent governments must pool their resources into cooperating against the individuals and groups which are the most immediate manifestation of these sorts of asymmetrical conflicts. In Iran’s case, they may be irredentists/separatists such as the Arab groups which Saddam Hussein supported during the 1980s war, or ideological extremists like Daesh and the “Kurdish Democratic Party of Iran” (KDPI). The last two are religious and political extremists, respectively, and all three examples and others like them become terrorists once they decide to pick up a weapon and fight against the state. The last type of strategy which should be applied in defending against Hybrid War is the structural one of multilateral institutional cooperation among multipolar states. Closer integration between Russia, Iran, China, Pakistan, Turkey, and other such leading countries is essential in order to minimize the damage that the US can inflict on each of them through its economic machinations, and trading in local currencies would go a long way in diminishing Washington’s capability to carry out financial destabilization as part of its structural preconditioning. As such, alternative multipolar institutions such as the BRICS Bank, the BRICS currency reserve pool, the AIIB, and other emerging bodies fulfill a highly strategic role in proactively defending against this subversive structural scenario. The end goal of multipolar integration processes, however, should be the pioneering of continental trade routes all across Eurasia, as these are free from any potential US Navy blockade or related conventional blackmail and can only only be disrupted via Hybrid War, ergo the importance of the internal efforts and external operations which were previously discussed. The Syrian Crisis is probably the most significant development in the Middle East right now. There are also talks of a Russia-Iran-Turkey coalition on this. Do you see that coalition going anywhere, and why would such cooperation even matter? 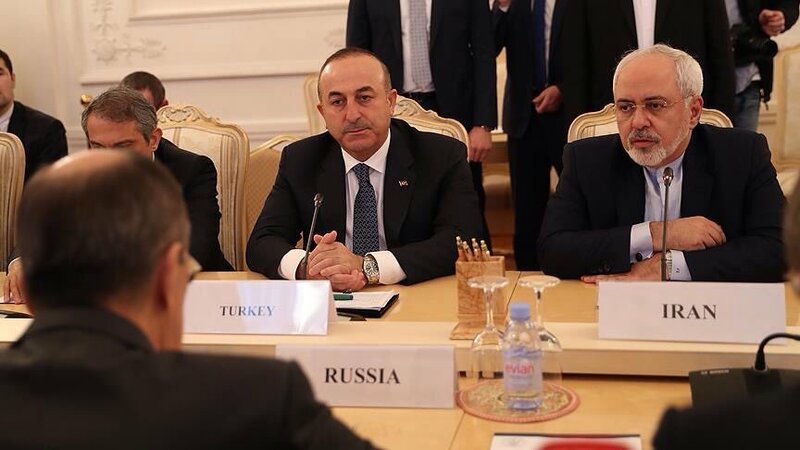 I first wrote about the the Russian-Iranian-Turkish Tripartite over the summer immediately before and after the failed pro-US coup attempt in Turkey in a series of articles for the Moscow-based Katehon think tank, and my analysis was confirmed on 20 December when all three Foreign Ministers came to the Russian capital and issued the Moscow Declaration. To briefly sum up my ideas, all three countries have come to develop overlapping interests in stopping the War of Terror on Syria (Turkey has been progressively evolving on this front over the past year as Erdogan centralized his power and Islamified the state) and preventing Kurdish separatism/’federalism’, which in practice is equated with stopping the emergence of a “second geopolitical ‘Israel’ of ‘Kurdistan’” in the heart of the Mideast. The Tripartite represents a 21st-century Mideast ‘Concert of Great Powers’ united in their desire to remove the US as the regional kingmaker and replace its declining influence with their own. Bilateral challenges still exist between all three members, but each of them are surmountable and aren’t expected to pose a serious risk to their multilateral partnership. The issues that Russia and Iran have with Turkey are that it still hosts US nuclear missiles at the Incirlik airforce base, has been Washington’s chief “Lead From Behind” regional proxy in waging the War of Terror on Syria over the past six years, and wants President Assad to step down. As for Russia and Iran, considerably lesser problems are present in their relationship, with the only relevant one being that both countries are undeclared (but still friendly) rivals in the global energy marketplace. All three sides, however, realize that there is a heavy unipolar infowar campaign being waged against them in an effort to divide their game-changing Tripartite, and this has lately focused on the false narrative that Russia and Turkey are supposedly conspiring against Iran in Syria. Since all sides realize the game that’s being played against them by the US and its allies, none of them are taking the bait, and the Tripartite still has the potential to oversee an end to the War of Terror on Syria and the remaking of a new multipolar Mideast order by stabilizing and strengthening the region after the defeat of Daesh. The long-term goal that’s in mind is to facilitate the integration of the Mideast into China’s One Belt One Road global vision of New Silk Roads, which would thus fulfill Iran and Turkey’s geostrategic destiny in becoming the South Eurasian bridges linking the EU with East Asia. As was previously discussed, Russia is the North Eurasian counterpart of this geopolitical construction, which therefore allows for the broadened reconceptualization of the Tripartite from a regional ‘Mideast Concert of Great Powers’ to a supercontinental pragmatic partnership of trans-Eurasian infrastructure bridges. If one accepts that the overarching narrative of the 21st century will be of Eurasian integration, then this positions the Tripartite at the heart of this process and transforms it into the center of this century’s most important geopolitical developments. Accordingly, this naturally makes each of its members prime targets for the US’ upcoming Hybrid Wars. You’ve talked about regime change policy and the different tools for it. What are those tools? Are there examples of these tools being used today or recently? Like I explained earlier, Hybrid War can be understood as manufactured or provoked identity conflict which progressively phases from a failed Color Revolution to an Unconventional War for the aim of Regime Tweaking, Regime Change, and/or Regime Reboot in geostrategic transit states participating in multipolar transnational connective infrastructure projects. The campaign is always preceded by a period of social and structural preconditioning whereby the US seeks to subtly weaken its adversary’s defenses through information and financial-economic warfare (including currency manipulations and sanctions). Once unleashed, Hybrid War takes the form of unarmed proxies (Color Revolution ‘protesters’ and ‘NGOs’) cooperating with and ultimately transitioning into armed ones (terrorists, “rebels”, “freedom fighters”) which viciously fight to promote the previously mentioned strategic objectives. The specific nature and name of each destabilizing actor depends on the unique characteristics of the target, but the model remains the same no matter which country it’s applied to. Also in your book you wrote about the Iran Deal and a “Golden Age” of US-Iranian relations (obviously golden for the US). Kindly explain why this new age is golden for the US? Obama’s superfluous outreach to Iran was never anything more than a charade. It was too good to be true that the US would engage in all sorts of “concessions” to Iran such as sanctions relief and the release of financial assets in exchange for Iran strictly sticking to its pursuit of nuclear energy, which is what it had been doing all along anyhow. 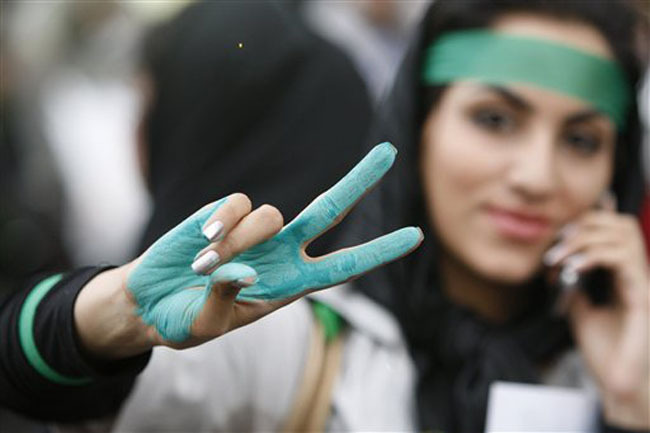 The US’ disguised motives were to appeal to the Western-friendly “moderates” as represented by President Rouhani and to unrealistically spike the expectation of the sanctions-weary majority-youthful (under 30-years-old) Iranian population. The US endeavored to create a tangible split in Iran between the “deep state” elite (permanent military, intelligence, and diplomatic bureaucracies) by dividing President Rouhani’s “moderates” from the Ayatollah’s “conservatives”, with the former appearing to the Western eye to have more economic and diplomatic influence while the latter seemingly dominate the military-security sphere. President Rouhani himself is not to blame for anything and he was not “in on” any foreign plot, but it’s just that the US decided to target him and the citizens which he represents because Washington’s “deep state” thought that they could more easily be fooled and misled. However, the Ayatollah and his supporters caught onto this plan and the US’ hoped-for crisis was averted after the Iranian “deep state” smoothed over any significant differences in policy that could conceivably be exploited between the “moderates” and “conservatives”. This is seen most visibly through President Rouhani, the “moderate” icon, recently foregoing his previous Western-friendly and optimistic rhetoric by becoming more skeptical of the US and its motives, interestingly echoing the wise “conservative” advice regularly preached by the Supreme Leader. In many ways, the US tried to do the same thing to Iran with President Rouhani after the nuclear deal that it failed to do to Russia with then-President Medvedev after the so-called “Reset”, and just like how the “conservative” Ayatollah sagaciously saved his country’s “moderate” President from falling for this trick, so too did the “conservative” Putin save his own political counterpart several years before that. Had Iran not wised up to the US’ grand plan of strategic infiltration and non-militant disarmament of the country through asymmetrical discrete means and successfully overcome the planned “deep state” divide, then it may have been possible for the potential post-sanctions economic windfall to enrich and ‘buy off’ more Iranian elite, thereby neutralizing and possibly even co-opting some of them with the intent of weakening the country. The end goal was to either encourage conflict between Iran’s “moderate” and “conservative” civilian and “deep state” populations, or take control of the state by proxy and redirect its strategic focus away from the West and South (Palestine and the Gulf) and towards the North (the Caucasus and Central Asia) in order to lessen the pressure on the Zionist-Wahhabis and refocus it on preparing for a potential clash with Russia, just as the West sought to set Iran up to do prior to the 1979 Islamic Revolution. 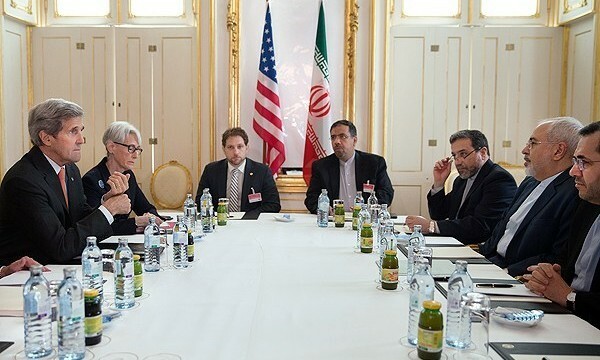 From Washington’s perspective, this would be a return to the “Golden Age” of American-Iranian relations, while for Iran, it would be nothing more than the beginning of a Dark Age marked by a prolonged period of domestic and international troubles. You predicted (correctly) in your book that the US will find ways to accuse Iran of violating the deal and to reimpose sanctions. This is the case now with the US not being cooperative in making the deal have tangible impacts on the lives of ordinary Iranians. Will what you’ve termed “failed hopes” after the deal increase as Trump takes the Presidency in a few weeks? 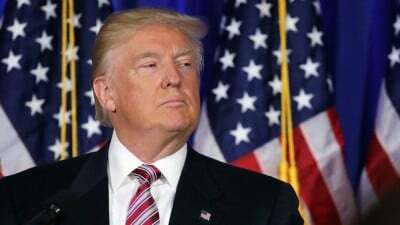 Since the Obama Administration’s original plan to co-opt, hijack, and divide Iran’s “deep state” and civil society has been derailed, the incoming Trump Administration is prepared to activate its predecessor’s Hybrid War “backup plan” (per the guidance of the US’ own “deep state” [permanent military, intelligence, and diplomatic bureaucracies]). The failed hopes which I wrote about before are designed to increase anti-government sentiment among the majority-youthful (under 30-years-old) population with the expectation that this could help spark a “Green Revolution 2.0” around the time of the upcoming Iranian presidential election in May. There’s no doubt that ordinary Iranians will continue to have their unrealistically high hopes crushed if Trump carries through on his campaign promise to radically renegotiate or outright scrap the nuclear deal and its anti-sanctions provisions, so the authorities need to keep on eye on how the citizenry reacts to this development and monitor the role of foreign information campaigns in provoking ‘spontaneous’ anti-government demonstrations (the first stage of a Color Revolution). The 2009 Iranian presidential elections represent, in your book, an example of a US Hybrid War against Iran. Please explain what you meant by that, as well as what you’ve called a “Green Revolution 2.0”. The 2009 “Green Revolution” was a proto-”Arab Spring” probing attempt. A deliberate decision was made by the US to not commit its maximum resources to its success, but to instead allow it to ‘naturally’ run its course in order to send a ‘shock wave’ through Iranian society which Washington thought would help to accentuate the “moderate”-”conservative” and youth-adult divisions. 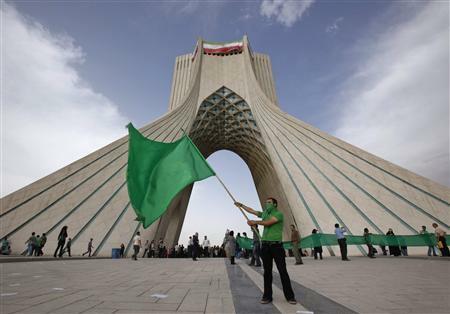 The “Green Revolution” was basically a large-scale social preconditioning operation designed to prepare the population for accepting a Western-friendly “moderate” successor to then-President Ahmadinejad, knowing that this would dramatically increase the chances that the US could eventually reach a nuclear deal with Iran and subsequently attempt to infiltrate it during the aftermath per the aforementioned strategy which I explained earlier. Additionally, there was also a more immediate tactical purpose behind the “Green Revolution”, which in hindsight was to identify the Iranian response to this incipient asymmetrical destabilization and pinpoint the state’s structural vulnerabilities. The lessons learned from this exercise would be applied to perfecting the Hybrid War techniques which would then be unleashed across the Mideast a year and a half later during the so-called “Arab Spring”, which was in reality just a theater-wide Color Revolution predicated on fulfilling the 1982 Yinon Plan. The American “deep state” followed the strategic logic that if Iran, the strongest Mideast state, could be rattled by the “Green Revolution” and low-intensity Hybrid War, then comparatively weaker states such as Syria, Egypt, and Libya could be even more disproportionately destabilized as well. To address my forecast about a potential “Green Revolution 2.0” which might be brewing, it’s likely that this sort of scenario is in the cards for the new future and might be one of Trump’s first major foreign policy moves just like the original “Green Revolution” was for Obama eight years ago. The unrealistically high failed hopes associated with the nuclear deal could catalyze a sustained anti-government movement within the country, while the Hybrid War proxies of Daesh, the KDPI, and others are lurking around the Iranian periphery and waiting for an opportune moment to strike. The twofold trigger for commencing the prospective Hybrid War would be Trump timing an announcement about his intent or decision to freeze the nuclear deal to coincide with the run-up to the upcoming presidential elections. The population’s failed hopes would hit their peak near the eve of the election, and many of them might be caught up in irrational emotions which make them more susceptible to foreign information warfare and anti-government suggestions. The scenario of a “Green Revolution 2.0” can be avoided, however, so long as the advice mentioned in response to Question 4 is put into immediate practice and the population is preemptively made aware of the US’ Hybrid War designs on their civilization-state. While that might counteract the Color Revolution, other actions still need to be taken in order to respond to and neutralize the Unconventional Warfare threat being posed by terrorist, separatist, and extremist non-state actors around the country’s periphery. As we get closer to another Iranian election, the topic of “fake news” is becoming more and more important. Germany even recently considered creating a “center of defense against fake news” before their own upcoming elections. How important is it that Iran, too, does something like this? And why? It should be expected that an intense US-Saudi infowar will be launched against Iran to coincide with its upcoming presidential elections, and that the purpose of this campaign will be to spark identity conflict within society in advance of a potentially forthcoming Hybrid War. Naturally, fake, misleading, and provocative news will play a key component in this and Iran must be prepared for countering it. Responding to the German example which was included in the question, Berlin is exaggerating the threat of “fake news” supposedly being used against it by Russia, as it’s not Moscow which is employing this tactic, but Washington. Rather, the German authorities want to fear monger about this phantasmal ‘threat’ against them in order to politicize it as a means of suppressing freedom of speech and reversing rising Euroskepticism throughout the continent. Iran, however, is legitimately targeted by actual fake news as part of the joint US-Saudi Hybrid War and information campaign against it (which are also supported by the Zionists). To reiterate what was said at the beginning of this interview, Iran’s enemies want to divide the country according to its various ethnic, religious, historic, socio-economic, and administrative & physical geographic differences in order to widen what they believe to be the societal-generational ‘split’ between the “moderates” and “conservatives”. The best approach that Iran can take to dealing with this danger is not just to censor foreign-originating fake, misleading, and provocative news, but to proactively combat it by countering the false narratives per the broad suggestions given in the response to Question 4. Censorship itself is sometimes a necessity when dealing with terrorist and anti-state propaganda, but in the Information Age, many people (especially younger ones) view it as suspicious and reactively ask themselves what the state is “so afraid of” that they instantly feel inclined to censor whatever the given message or outlet might be. Instead, it’s much more effective to confidently fight information warfare head-on by regaining control over the narrative. Iran should thus prioritize informing its population of the upcoming inforwar attacks and the motivations behind them. By explaining how the purpose behind these foreign-originating operations is to divide the Iranian people and weaken them from within by their own hand, the state can then counter this attempt by creatively reinforcing the patriotic message that Iran is an inclusive civilization. Preparing patriotic NGOs, information campaigns, and street rallies can convincingly bolster the effectiveness of this narrative by demonstrating to citizens that their fellow peers truly believe in this message and that it’s not just “government propaganda” like Iran’s enemies allege it to be. Finally, strategic advisory support can and should be sought from Iran’s Russian and Chinese partners, which have already proven the success of their own anti-Hybrid War initiatives and would more than likely be willing to share their valuable experiences with Tehran. Andrew Korybko is the American political commentator currently working for the Sputnik agency. He is the author of the monograph “Hybrid Wars: The Indirect Adaptive Approach To Regime Change” (2015).